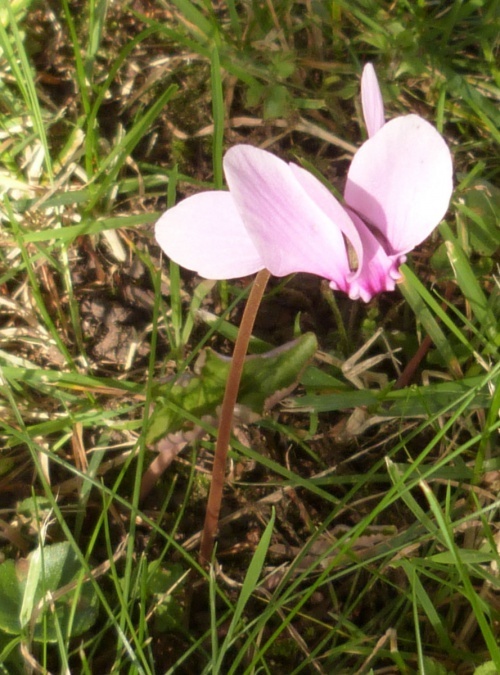 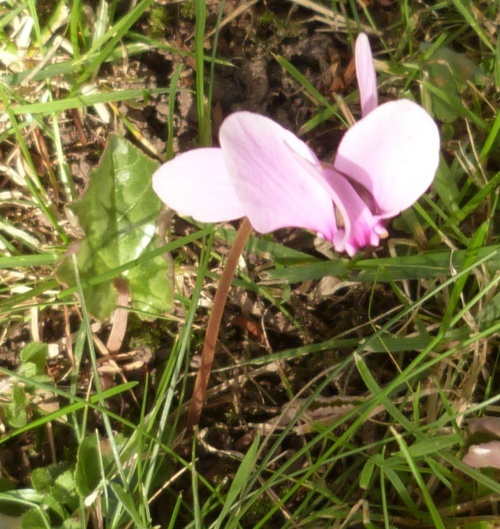 Cyclamen hederifolium has pink flowers with a purple-magenta V-shaped blotch at the base of each petal. 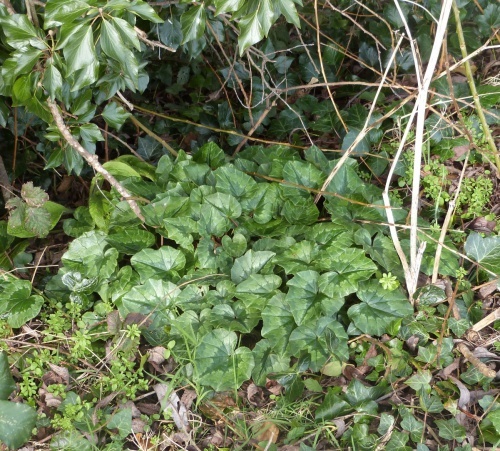 There is also a white flowered form which is now common in cultivation, but scarce in the wild. 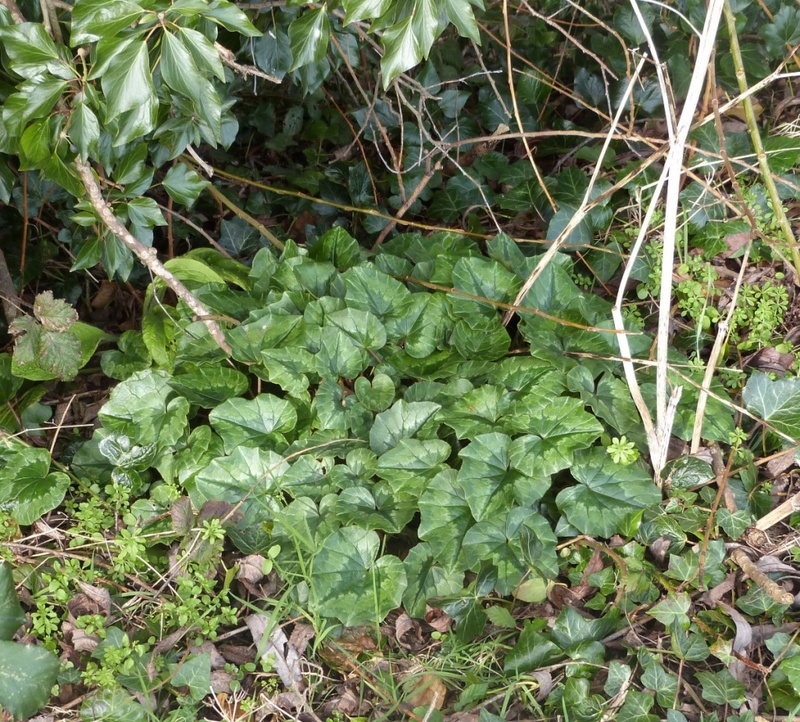 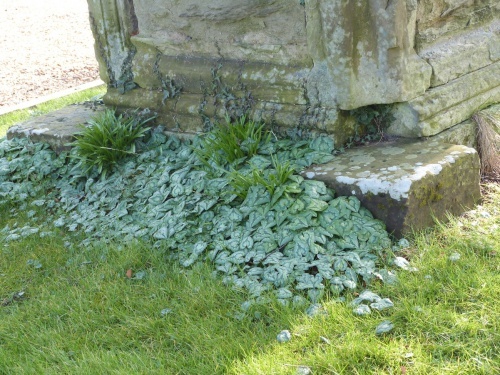 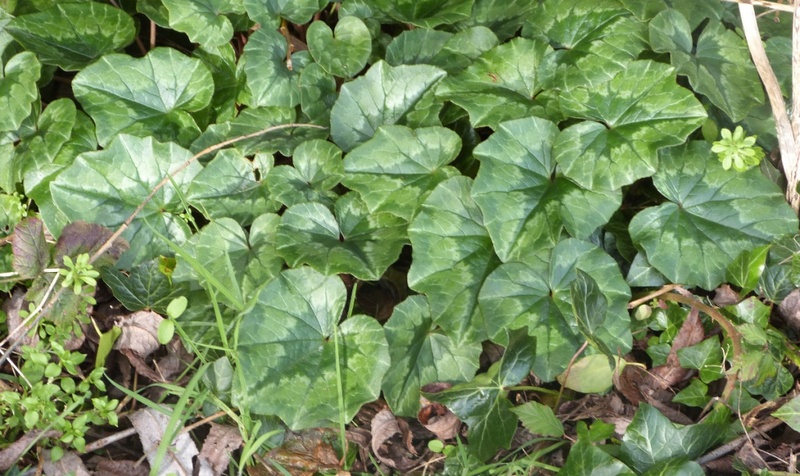 The flowers appear either before, or with, the young leaves which are often ivy-like as suggested by the specific epithet. 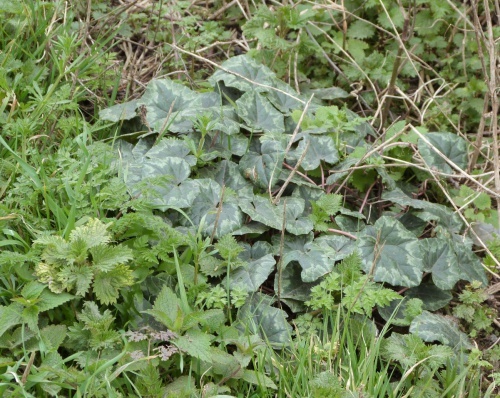 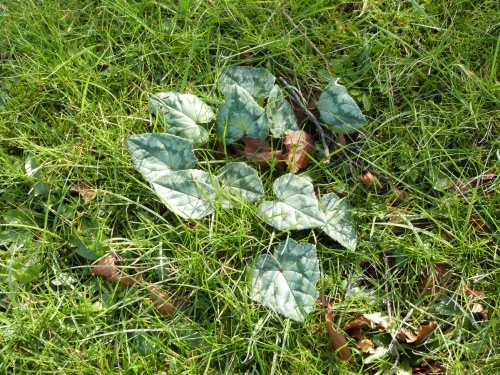 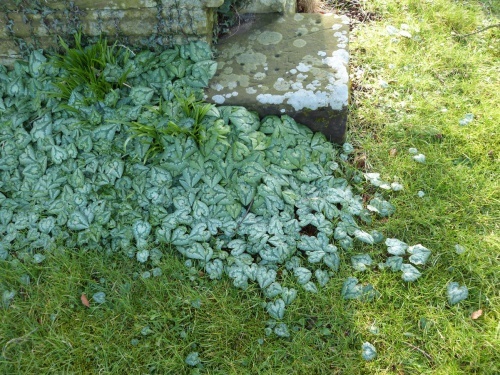 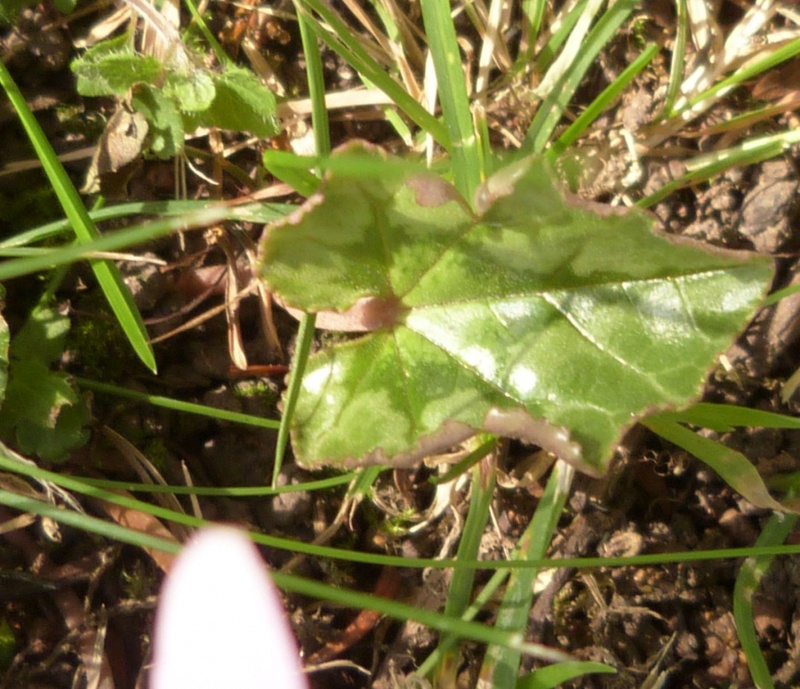 However, the plant is very variable and the leaves can be every shape from almost orbicular to lanceolate. Leaves vary from dull or bright plain green to plain silver with various forms of hastate pattern in between, with the pattern in silver, grey, cream or merely a different colour green. 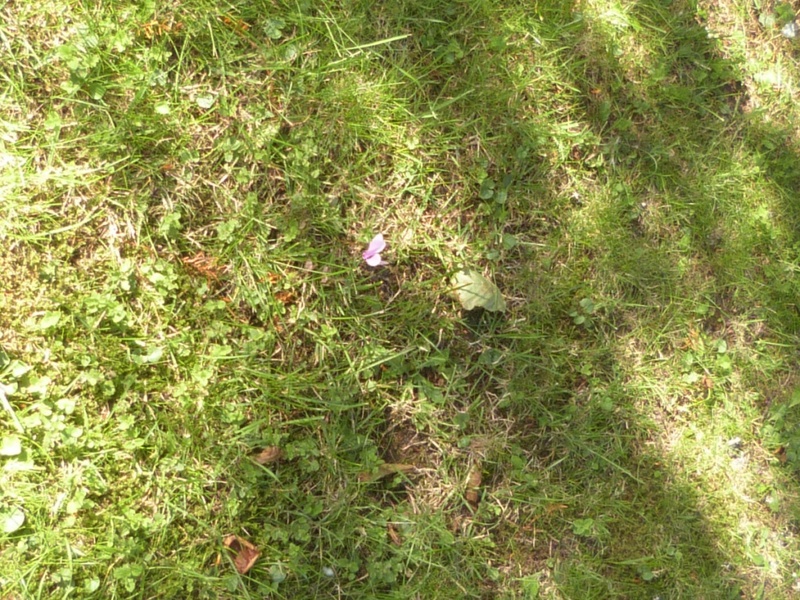 The tuber roots from its top surface and sides. 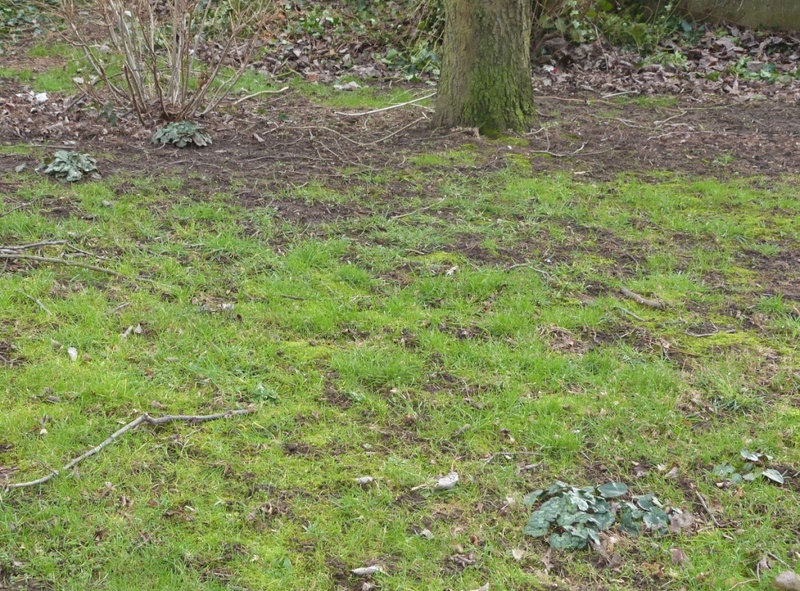 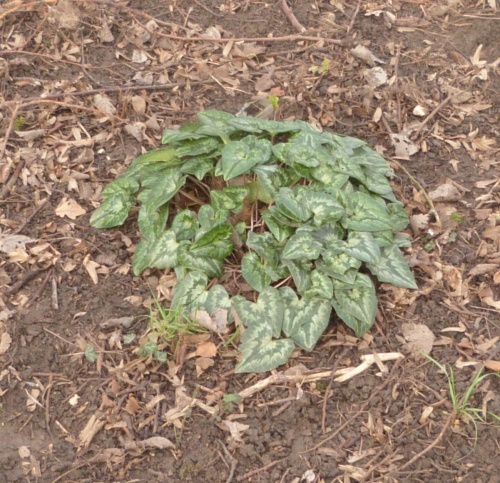 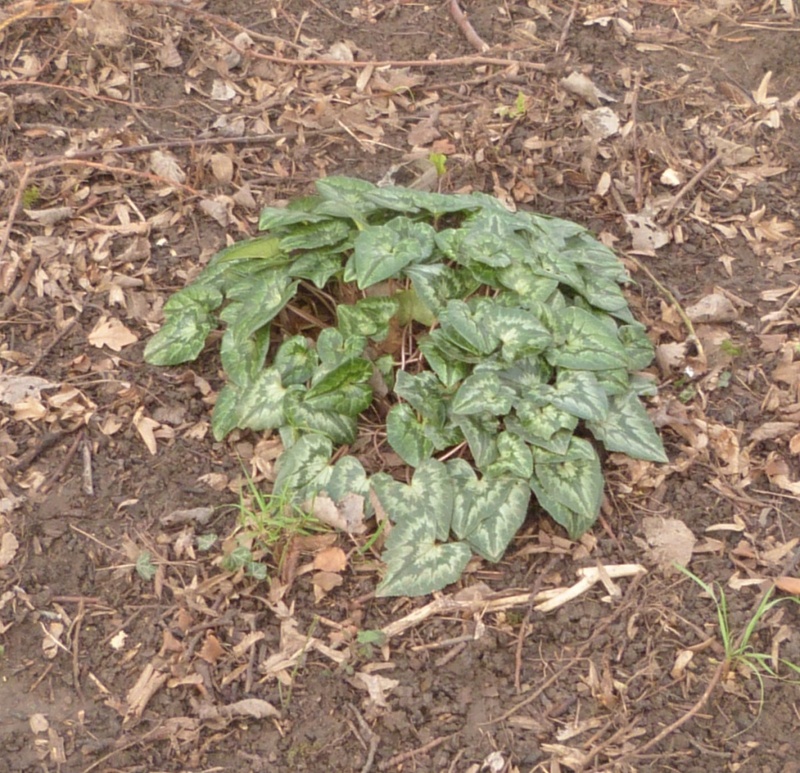 Preferring moist loamy soil, often in shaded places or on disturbed ground. The flowers appear between August and October. 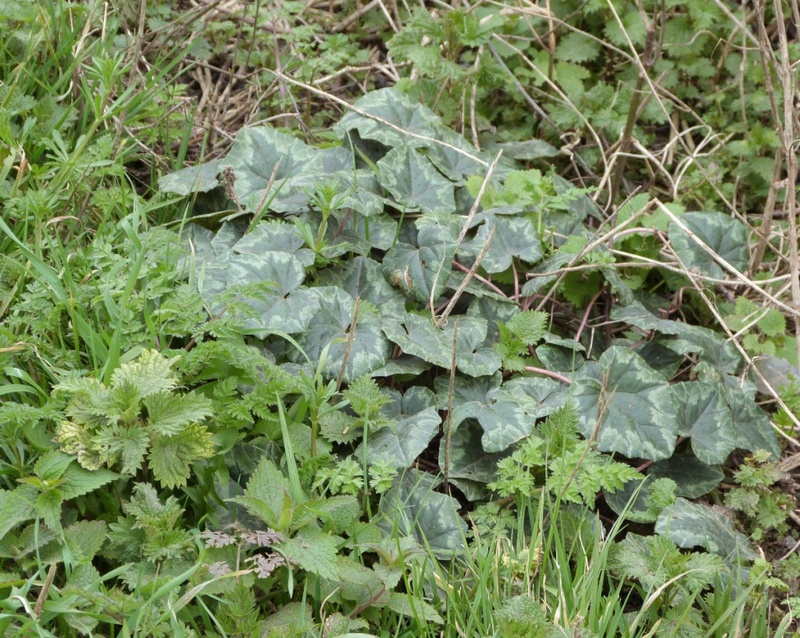 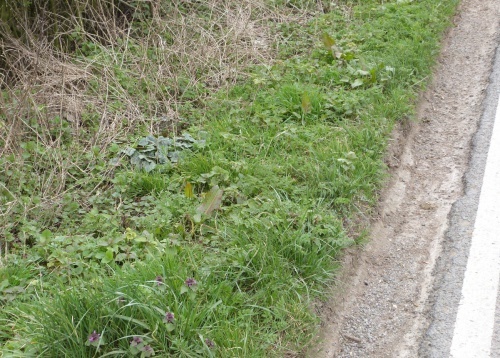 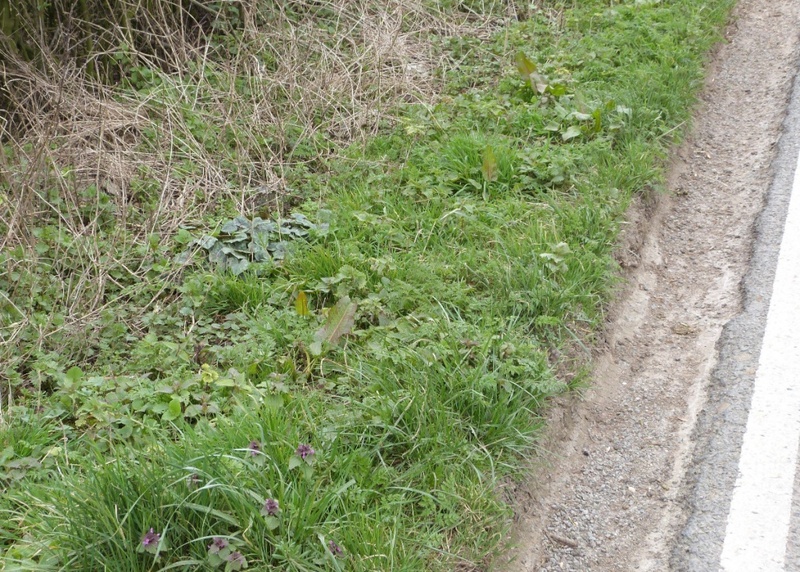 Widespread but occasional mainly occurring in the southern half of Britain.